Publish Your Piece in our Newsletter and WBAIblog! The WBAI is accepting articles for its upcoming Newsletter. Submit an article reporting on recent legal developments, WBAI events, noteworthy member achievements, or professional development advice. The WBAI newsletter reaches hundreds of members including, lawyers and members of the judiciary, elected officials, and law firms throughout the state, so we encourage you to contribute to the voice of the WBAI. 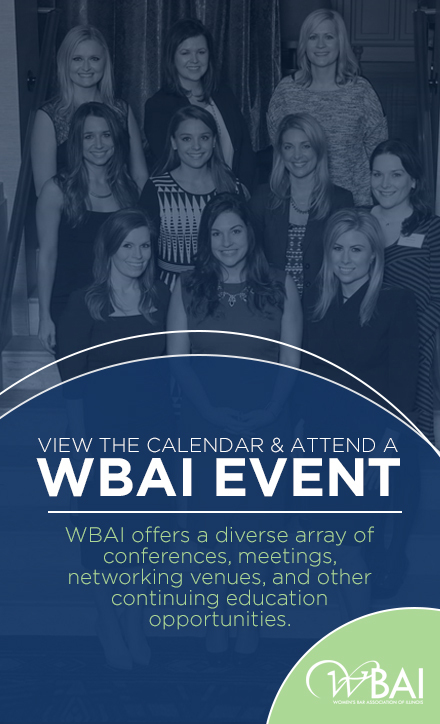 Also, new this year is the opportunity to have your article appear in the WBAIblog! By submitting your article for publication in the WBAI newsletter, you are granting the WBAI permission to republish your article in the WBAIblog. With your submission to the Newsletter editors, please also send a .jpg file headshot. If you are selected to be featured in the blog, we will include your photo. If you do not wish to have your article considered for the WBAIblog, please indicate this along with your submission. Please submit all articles to the newsletter co-editors by no later than September 18, 2015. We only accept articles from members in good standing (2014-2015 memberships expired June 30 – to join or renew online click here). There is no maximum length, but your submission will be reviewed by an editorial assistant. Remember to include a very short (2-3 sentence maximum) bio at the end of the article, as well as your contact information. If your piece has already been published, confirmation of written permission to republish must be included with your submission. Click here to join the Newsletter Committee. Please note that you must be a member in good standing to contribute.